With a Starbucks on almost every corner in some places, making a mid-afternoon coffee run is hardly inconvenient. But just in time for the official start of summer's long and lazy days, there's a new deal that will get you a free iced coffee -- without even having to set foot in your local Starbucks at all, let alone a line. Instead, it'll be delivered right to you door. 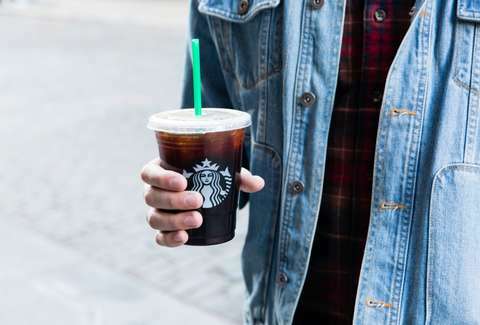 From now through Tuesday, June 26, the delivery service Postmates wants to deliver you a free Starbucks tall iced coffee, a company spokesperson confirmed via email. 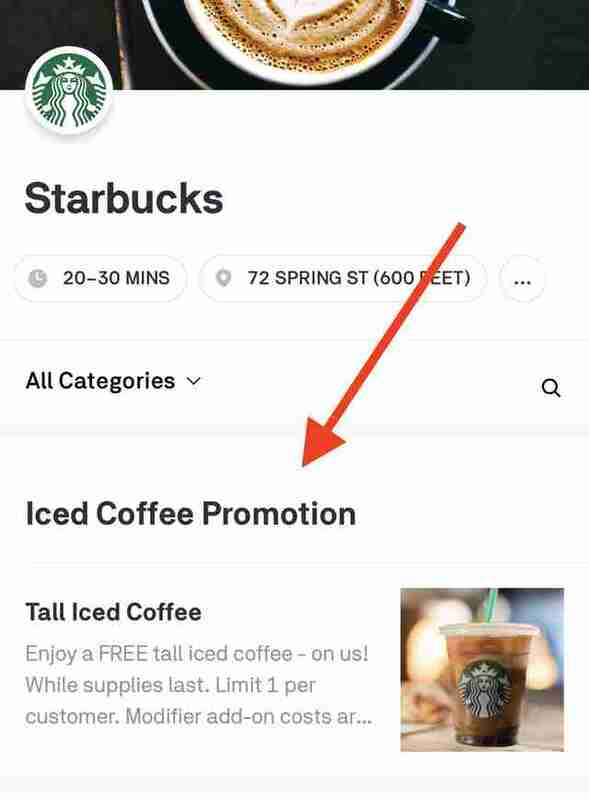 All you have to do is open the Postmates app, use the search tool to find a Starbucks, then tap the item labeled "Iced Coffee Promotion" that appears at the top of the menu (shown below) and complete your order. The free iced coffee is available in all of the 50 markets across the country where Postmates has delivery people, including New York, Miami, Charlotte, Chicago, Denver, Los Angeles, San Francisco, Seattle, and more. The free caffeine comes with some fine print, though. Postmates charges a $5.99 delivery fee -- you know, for the convenience of getting Starbucks delivered right into your hands -- that ends up costing you more than you’d normally spend for a tall iced coffee. However, the deal ends up making a little more sense if 1) you simply can’t make it to a Starbucks and you need some damn iced coffee ASAP or 2) you end up ordering drinks for multiple people (and keep the free one for yourself) who will help split the extra cost of delivery. Tony Merevick is Senior News Editor at Thrillist and could use another cup of coffee right about now. Send news tips to news@thrillist.com and follow him on Twitter @tonymerevick.